Continuing with our Sunday chronicling local history, it seems we’re chancing upon a century during which the city gets to catch its breath and settle down for a while. When we left off, the Anglo-Saxons had just established Lundenburgh. Alfred the Great of Wessex resumes control after Æthelred dies in 911. Up to this point, Winchester (southeast England) has been the primary center of the Kingdom of Wessex (West Saxon), but it continues to grow in size and wealth through commerce, it is now coming into its own and attains more political focus. 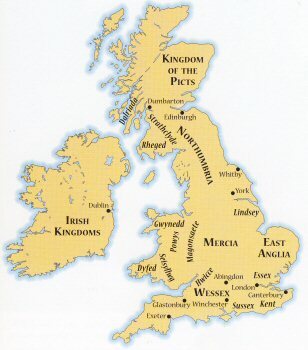 As a result, it begins to develop its own government: King Aethelstan holds meetings of the witangemot (a council that appoints/advises Anglo-Saxon kings—not to be confused with the “Wizengamot” in Harry Potter :)), and King Æthelred the Unready issues the “Laws of London” in 978.